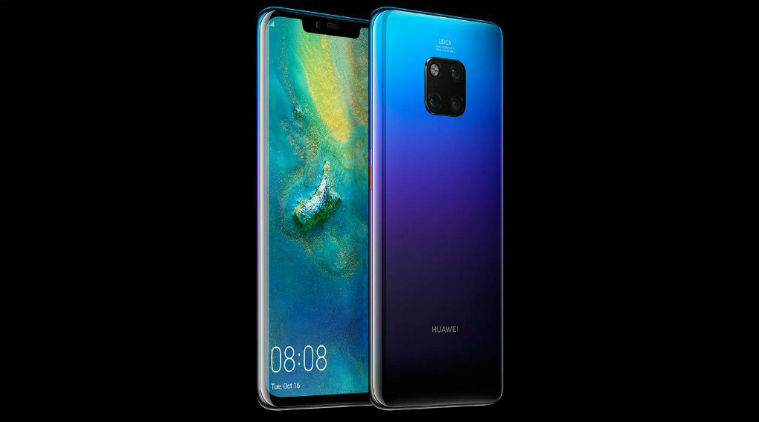 A report stated that Huawei Mate 20 Pro India is set to roll out on 27th November. It was inaugurated at an event in London previous month. It has Mate 20, Mate 20 X and also Mate 20 RS smartphones. It appears that the firm is introducing Mate 20 Pro to the market in India. The phone will be Amazon exclusive in India. Huawei Mate 20 Pro is an awesome smartphone. Its price is EUR 1049. It has active competition with Apple iPhone XS Max, Samsung Galaxy Note 9. The cost in India will be premium around Rupees 80,000. The phone has got triple rear cameras. It is powered by 7nm Kirin 980 processor. It has a resolution of 3120 x 1440 pixels. The aspect ratio of the phone is 19:5:9. The fingerprint sensor is present in the display. Huawei Mate 20 Pro has the camera setup which is Leica branded. It is a mix of 40 MP wide angle 27 mm lens with f/1.8 aperture, 20 MP ultra-wide angle 16 mm camera with f/2.2 aperture. It has an 8 MP 3xtelephoto 80mm lens with f/2.4 aperture and OIS. The front camera on the Mate 20 Pro is a 24 MP with f/2.0 aperture. Huawei Mate 20 Pro is powered by the Kirin 980 processor which has 6 GB RAM 128 GB storage. The firm has brought forward a new nano SD card format for more storage. The phone has a 4200 mAh battery with a 40 W Huawei supercharge charger. There is a wireless charging pad embedded at the back of Mate 20 Pro. It enables the users to charge the gadget which supports wireless charging. The best function of Mate 2o Pro is that it utilizes 3D facial recognition system to make the device unlocked. The handset functions on the firm’s recent EMUI 9 and is on the basis of Android 9.0 Pie. It is accessible in 5 color options like Emerald Green, Midnight Blue, Twilight, Black and Pink Gold.